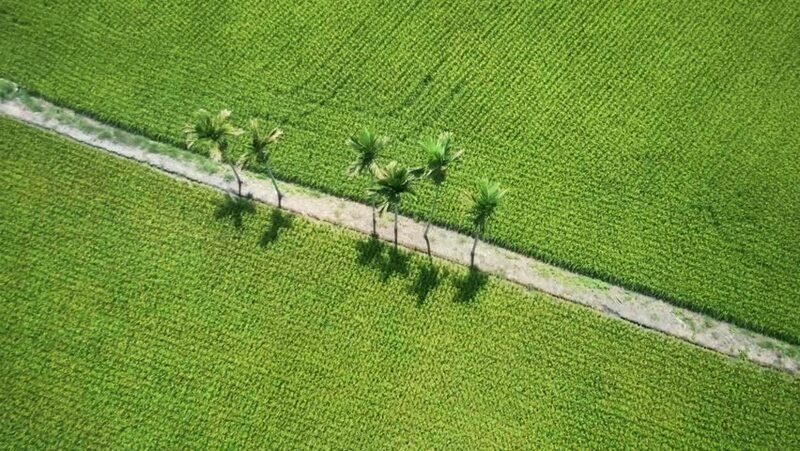 Aerial view of palm trees and green rice fields at Mr. Brown Avenue. Chishang. Taiwan. June 2017.
hd00:27Aerial shot of fields with various types of agriculture. California farming. 4k00:37Green field seen from above. Drone footage of rural landscape.